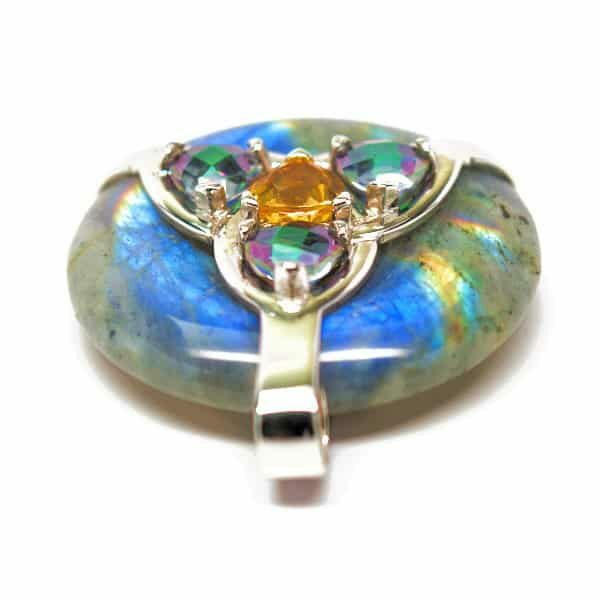 Believed to have fallen from the skies emblazoned with the magical power of the Aurora Borealis, labradorite is one of the most prized healing stones in the world. 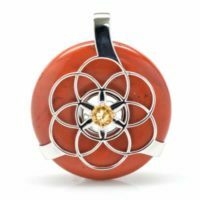 It is a stone of divination, manifestation, and it promotes rapid transformation and change amid ones mind, body, and spirit endeavors. 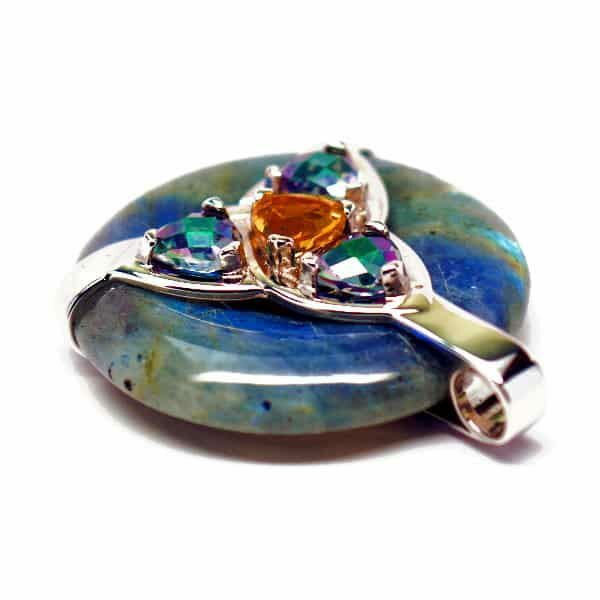 If you’re looking to navigate changes and challenges with greater strength with a tool that also aids in communication with the Divine, this Labradorite Triquetra Amulet combined with Mystic Green crystals and centered with a magnet-backed citrine is an attractive solution. 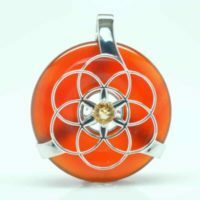 Citrine healing crystals are called upon by those seeking greater clarity amid the physical and spiritual realms and those looking to expound upon their creative efforts. 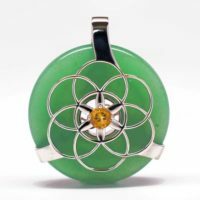 A stone of luck and fortune, it’s also believed to be one of cheer that can be used to relieve stress, anxieties and fears that hold one back from attaining a soul connection with the higher self. The master stone clear quartz amplifies the energy of all stones and is a powerful cleanser of negative energies. 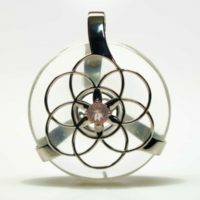 Often used by those preparing for astral travel or to explore realms beyond the physical plane, clear quartz perfectly compliments this stunning healing pendant. 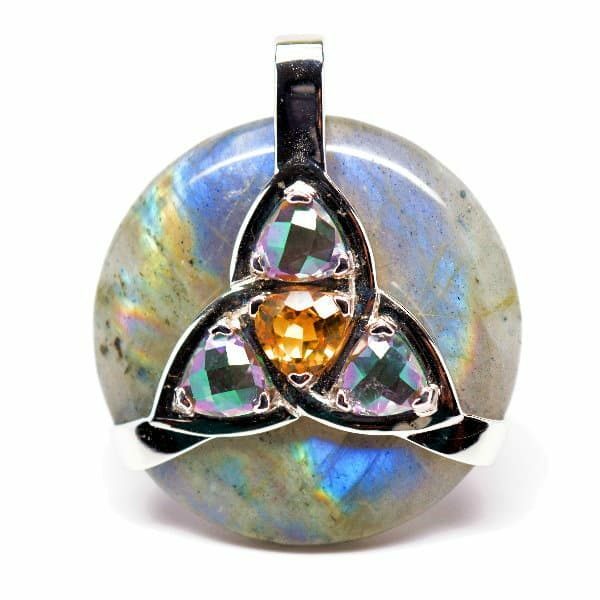 We’ve surrounded these stones with a sterling silver Triquetra on one side and a basic Trinity symbol on the back, making this beauty a 2-in-1 reversible pendant! 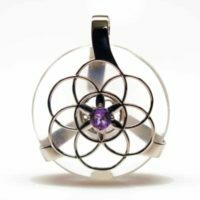 You decide the meaning of the triad dynamic, and they can be any trio of related concepts, ideas, beings, or entities that represent some special essence of your existence. 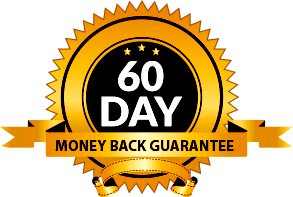 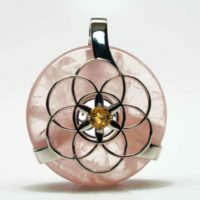 Add this incredible pendant to your collection and expedite your mind/body/spirit journey! 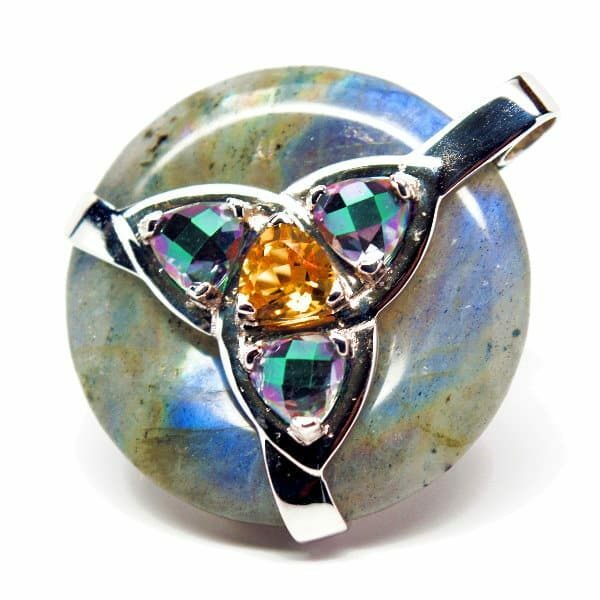 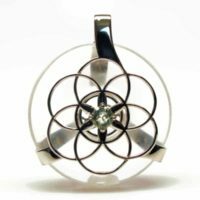 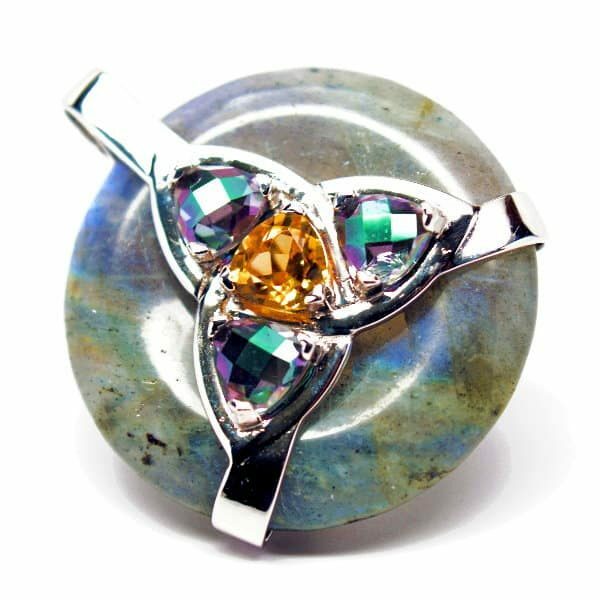 Be the first to review “Triquetra Labradorite w/Mystic Green & Citrine Amulet” Click here to cancel reply.